The Indian Diplomats are responsible for the healthy relationship between India and the other countries. The Indian Foreign Service officers of the country are trying very hard to maintain a good relationship with the countries like China, United States or other influential countries so that our country can be benefited from that alliance. 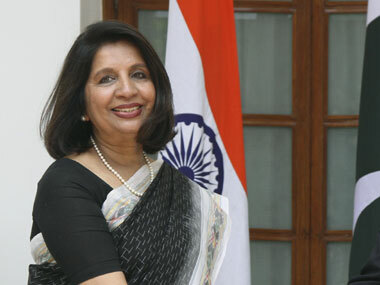 Nirupama Rao is one of those famous Indian Diplomats of the country who is responsible for the healthy relationship between India and other countries. She had been the Indian Ambassador for the important countries like China, United States and some other important countries like Peru and Bolivia. She has also served as the Indian Foreign Service officer for two years. Nirupama Rao was born to Lt. Colonel P.V.N Menon and Mrs. Meempat Narayanikutty at Malappuram of Kerala. Due to the Indian Army background of her father she got to live in various cities like Lucknow, Bangalore, Pune, Coonoor. Being the daughter of a Colonel, she herself had persuaded in a career at Indian Navy. She retired from the Navy in the year 2013, as a Surgeon Rear Admiral. She had topped in her Bangalore University during her BA course in English. On the year 1970, she was a part of the youth delegation of Expo 70 held in Japan. Afterward, she had completed her master’s degree in English Literature from the Marathwada University of Maharashtra. After topping the All India Civil Services Examination for both in Indian Foreign Service and the Indian Administrative Service in the year 1973, she had joined the Indian Foreign Service. She had started her career by working at the Indian Embassy in Vienna of Austria. Her first career breakthrough was at 1981 when she was posted as the First Secretary at the Indian High Commission of Sri Lanka. After serving as the First Secretary in the Indian High Commission of Sri Lanka, she eventually returned to Delhi and specialized in working Indo-Chinese relationship. In the year 1995, she was first sent to Peru as Indian Ambassador to Peru and Bolivia. During her time, an Indian President K.R. Narayanan had visited Peru for the first time. In the year 2004, she had become first woman High Commissioner from India of Sri Lanka. During her service, Sri Lanka had faced the effect of Tsunami along with India. Nirupama Rao had arranged the relief funds from India which had helped the victims of Sri Lanka a lot. In the year 2006, she was sent to china as the Indian Ambassador. Along with setting the India-China Business Forum, she had also taken the initiative expanding the Cultural Wing of the Indian Embassy, making it active for various cultural activities like seminars, lectures, music, and dance and Indian cultural classes for Chinese students. On the year 2009, she had become the second woman Foreign Secretary of India. The relationship of India with United States, Russia, and Japan excelled during her tenure. She increased the alliances for the grave issues like nuclear energy cooperation and climate change. Lastly, in the year 2011, she was sent to the United States as Indian Ambassador. During her work tenure, she had spread the Indian culture through music, dance and other cultural activities of the Embassy of India in the USA. For her extraordinary job as the Indian Diplomat and foreign relationship officer, she was awarded many times, like Doctor of Letters from the Pondicherry University and Vanitha Rathnam Award given by the Government of Kerala in the very year 2016.